Like you, we want your child’s education to be amazing! On this page we’ll keep you informed of key events coming up and exciting things that have happened. 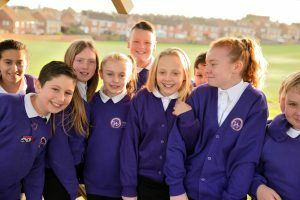 This page is also useful to help answer questions you may have; information about admissions, uniforms, the way learning is organised, the Curriculum… everything is somewhere on this page! If you want to find out about things your child is doing in class at the moment, jump to the year group they’re in at the top of the page. Hasting Hill is a non-selective school for the local community. As such, the admissions policy reflects the locally co-ordinated admissions scheme. 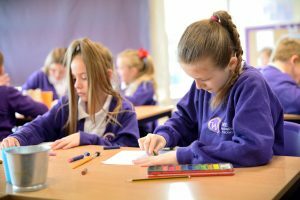 After admitting students with a statement of SEN, followed by ‘Looked After’ children, the admissions policy for the Academy prioritises brothers and sisters of children at the school and those living closest to the Academy. Our admissions policy is available below. Our admissions number (PAN) is 50; this means this year we will admit upto 50 pupils into our Reception classes. Our admission number has been 50 for three years, hence we have a capacity of 50 pupils per year group in Reception, Year 1 and Year 2. From Year 3 upwards our capacity is 45 pupils per year group. Hasting Hill is part of Wise Academies. 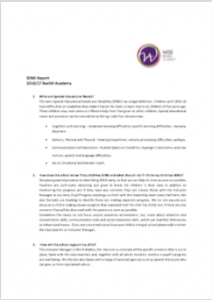 In addition to a Local Governing Body, a Board of Directors oversees the work of the Academy, and takes a close interest in its performance and provision. Further details can be found here . We are always keen to hear from parents/carers who would be interested in becoming a member of the Governing Body; please get in touch via the ‘Contact Us’ page if you’re interested. Our Governance information can be found over on the trust governance website here . We’re really excited to be continuing with our new curriculum this year at Hasting Hill. 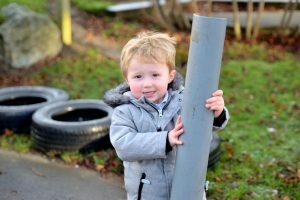 The curriculum, organised into ‘topics’ or ‘contexts’, was a huge success last year, and the second part of the two-year cycle will be introduced this year. 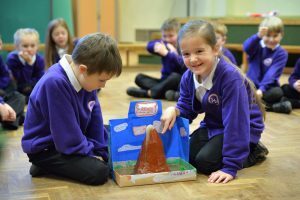 As many of you will know by now, each topic will begin with an event or a visit to inspire the children, and will culminate in a similar event giving the children the opportunity to showcase their learning. Parents/carers are a crucial part of this – we really value your support at these events, and YOU make the end celebrations worth having. Your children like nothing more than being able to share their achievements with you. These may be in the form of an assembly, a performance, an exhibition of work… the opportunities are endless. 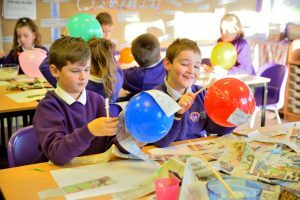 Your child’s work from though out the term will also be on display (as will their homework – make sure they complete it on time, and to a high standard!). Thank you for your continuing support. 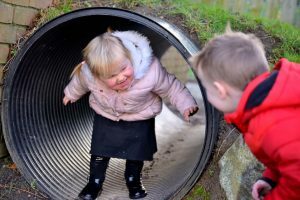 We are proud to be an inclusive school where some of our children have specific needs; how we cater for children with Special Educational Needs and/or Disabilities is detailed here through something called ‘Our Local Offer’. The person responsible for E-Safety in school is Mrs Scott (KS1). The designated safeguarding officers in school are Miss Fountain (Executive Headteacher), Mrs S Robson (Headteacher), Mrs B. Walton (KS2), Mrs Jackman (Deputy Head) and Emma Innerd (Child and Family Support). If you have any concerns about online safety please contact one of these members of staff. Internet Matters - over 70 parental control how-to guides for major networks, devices, services and entertainment providers in your home. At Hasting Hill we are WISE about attendance. Below you can access our Attendance Matters Info-graphic for more information on our procedures for absence and our reward initiatives, as well as our policy on Attendance. 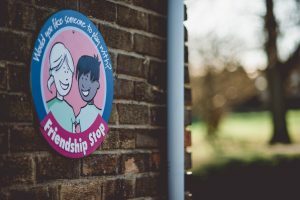 At Hasting Hill Academy, we recognise bullying is a mixture of behaviours and impacts which can impact on a person’s capacity to feel in control of themselves. It is all about relationships and role modelling, and what happens when these go wrong. Bullying is neither accepted nor tolerated at Hasting Hill Academy. We also have Bagel Stations in the school reception area every morning from 8.40 where you can grab a Bagel and go! Hasting Hill have a brand new 2 year old facility. We operate 15 hours a week 2 year old provision. It runs Monday - Friday 8.55am - 11.55am. The cost is £15 per session however you maybe entitled to 15 hours a week free child care, to find out more go to https://www.gov.uk/guidance/2-year-old-early-education-entitlement-local-authority-guide or speak to the school office about elegibility. The Guarantee Element of State Pension Credit? Support under Part V1 of the Immigration and Asylum Act 1999? 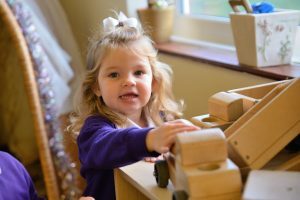 Hasting Hill Academy are now able to provide 30 hours of free early education and childcare provision for three and four year olds. The Customer Interaction Centre is also there to help answer any questions on 0300 123 4097. Emma is able to offer support to parents and carers across Hasting Hill Academy. Advice and support can be given on positive parenting as well as positive behaviour strategies as well as other support which can be tailored to your needs. The advice is simple with practical strategies to help you manage your child’s behaviour. It can help prevent problems developing, which in turn will help build strong, healthy relationship between you and your child. as sometimes just being able to talk to someone can help relieve the stress. Our core value of tolerance of and respect for those who have different faiths and beliefs, different genders, different sexual orientations, different abilities, different families and different economic circumstances underpins our work. 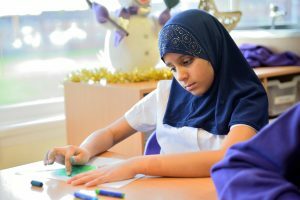 Hasting Hill Academy enhances children's understanding of different faiths and beliefs through Religious Education studies and different social circumstances through PSHE work. Visits out of the academy and visitors to the academy provide a richness of experience for our children. Through this our children gain an enhanced understanding of their place in a socially and culturally diverse society.